NASHVILLE endoscopic surgical-device startup Virtuoso Surgical Inc. is eyeing a $3MM Seed capital raise and a follow-on letter round, and is discussing those efforts with investment bankers "mainly in California and New York." Virtuoso General Counsel and Chief Administrative Officer Mark Pickrell today told Venture Nashville the Seed round is likely to be followed by a further raise, this autumn. The capital push is to support further development and future commercialization of technology to which the company has secured access through separate intellectual property licensing agreements with Vanderbilt University and with Johns Hopkins University. Virtuoso is led by Co-founder and President Robert Webster III, PhD, who is an associate professor in the Vanderbilt University School of Engineering's Department of Mechanical Engineering. Webster had earlier worked as principal investigator on the technology while a doctoral candidate at Johns Hopkins. In 2006, he and others at Johns Hopkins patented concentric tube technology for surgical purposes. The work by Webster and several of his co-founders led to creation of a hand-held robotic surgery system with multiple robotic manipulators that can be inserted via a standard clinical endoscope, according to the abstract that accompanied notice of Virtuoso's 2017 award of a Phase II SBIR grant via NIBIB. The $3MM Seed raise would support continued prototype development and early steps toward achieving regulatory approval. The company opened its doors in September 2017. It now has four full-time team members and several contractors, for a total of 7 FTE staff, said Pickrell. With no outside investment yet to report, the company today filed on its Seed raise with the SEC. Virtuoso is advised on securities by attorney Marc Adesso of Waller Lansden. Pickrell said the company has begun outreach to potential investment bankers for future assignments. Virtuoso is also in discussions with a number of accounting firms about a potential advisory role, he confirmed. The team is advised on FDA regulatory matters by Nevada-based Daniel & Daniel Consulting. And, UK-based Marturion and other firms advise on a range of technical issues. Pickrell said the company currently believes its device offering will qualify for an FDA 510(k) finding of substantial equivalence to previously marketed technology. Such a finding would accelerate commercialization. Thus far, the company has been selected for SBIR, STTR and Launch Tennessee SBIR grants totaling nearly $2MM. The National Institutes of Health's National Institute of Biomedical Engineering and Bioengineering in 2017 selected the company for awards totaling $1.5MM, to be awarded in two tranches. Also, Virtuoso was recently certified by Launch Tennessee as a company whose investors are eligible for the State of Tennessee's Angel Tax Credit, said Pickrell. Virtuoso is initially focused on use of its system in treating benign prostate hyperplasia, HPH, i.e., enlarged prostate. During a presentation at VU in 2013, the researchers estimated there were then 240,000 prostate surgeries per year. In that same presentation, the presenters said they aimed to create a system that supports use of a laser tool for resecting and removing "the entire prostate (radical prostatectomy) via the urethra," thereby obviating the need for incisions that might result in patient incontinence and impotence, among other surgical risks. Virtuoso's hand-held system affords surgeons much greater dexterity for use of a laser for this procedure than is typically possible when clinicians use systems that are larger, more complex and costly, according to the company. This, in turn, could mean use of its smaller system will result in more men having benefit of laser surgery. 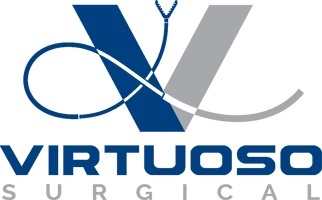 In addition to Webster and Pickrell, Virtuoso co-founders include Chief Clinical Strategist Duke Herrell M.D., who is the director of robotic surgery at Vanderbilt University Medical Center and a co-founder of the Vanderbilt Institute in Surgery and Engineering (VISE), which brings together surgeons and engineers to solve challenging clinical problems. 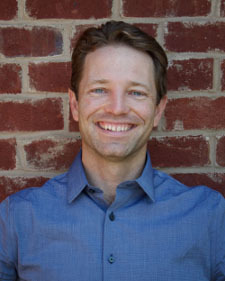 Co-founder Richard Hendrick PhD serves as the company's chief operating officer. Pickrell said that beyond addressing BPH procedures, the company will eventually address endoscopic procedures for disease and obstruction of the airway; and, for resection of colloid cysts within the brain. Asked about competitors, Pickrell noted that majors in the sector include Intuitive Surgical (NASDAQ:ISRG, da Vinci products); Auris Health Inc.; Medtronic (NYSE); Verb Surgical (a J&J-Google joint venture).